The week started with some great news with my 12 year campaign to have the eyesore that is the shops and maisonettes redeveloped. Read more on that by clicking HERE. The rest of the week was a combination of working all week, meetings at Merseytravel, campaigning in the evenings, as well as dealing with Council issues for local residents. One of the biggest issues people are contacting me on is damage being caused to grassed areas by Lacey roofing, who are carrying out the re-roofing project for Wirral Parnership Homes (WPH) on the Lingham Estate. 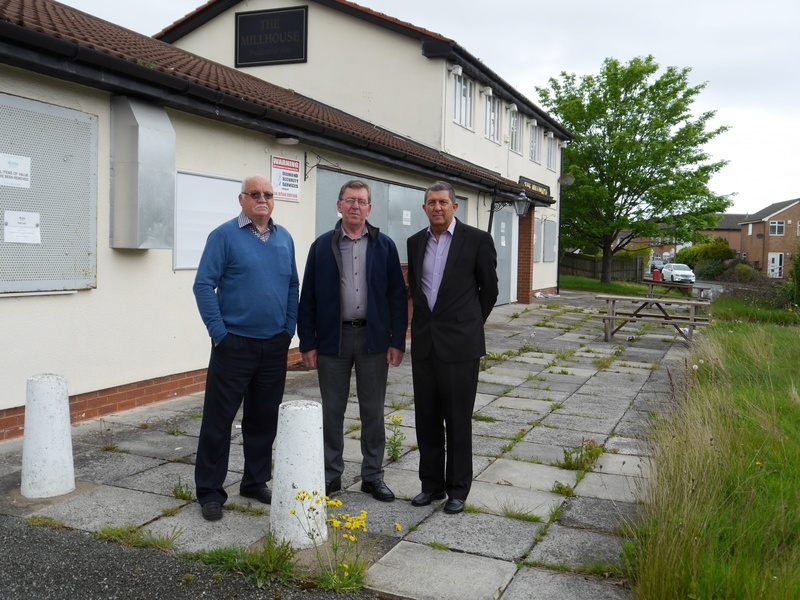 So on Thursday I met with representatives of WPH and Laceys in Kestrel Road to look at some damage they had caused which they have promised to make good. I was invited to walk the estate with them to look at areas they had completed and I have to say I was impressed with the finished work, really good and tidy. I am absolutely reassured and I have passed that reassurance to local residents. And for the week ahead, well its a really busy one! Previous postGreat NEWS – Join Me on Valentines Day for a Community Celebration! Next postMerseytravel Allowances, HUGE Increases Recommended!